Whether you are a baseball fan or not, Showtime’s series “The Franchise” is one you won’t want to miss. 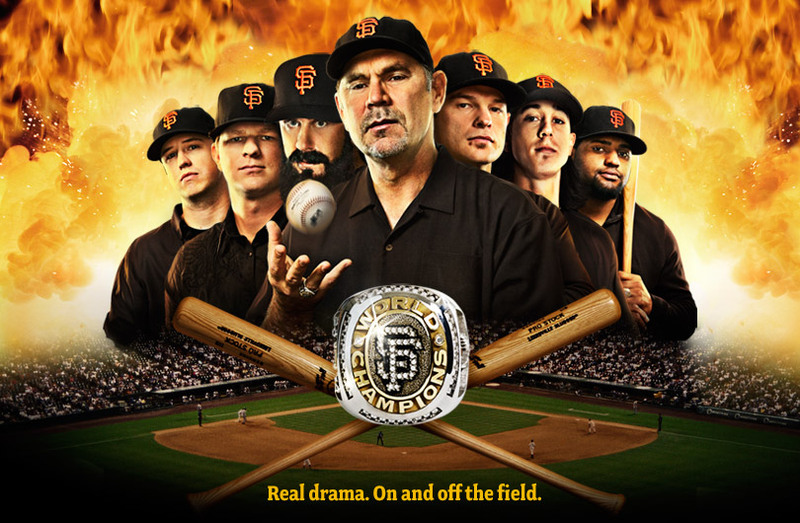 This documentary shows us an up close and personal look into the lives of the players and families of the San Francisco Giants. Chronicling the 2011 season, we see the professional and personal ups and downs of the defending World Champions. In the season opener, we are introduced to a cast of characters like Brian “Fear the Beard” Wilson, Pablo “Kung Fu Panda” Sandoval, Aubrey “Huff Daddy” Huff and Timothy “The Freak” Lincecum, to name a few. The team, plagued by injury, availed Ryan Vogelsort the opportunity to come back up to the big league. Bouncing back and forth from the minors to the majors for the last decade, his story is a testament to his perseverance and dedication to the game. The Franchise will make you laugh and tug at your heartstrings. There is not one episode that hasn’t caused me to shed a tear, none so much as the first episode. It shows us touching look at the Bryan Stow incident, his progress after the attack and the effect it has had on the players. A visit with Bryan and his family from pitcher Jeremy Affeldt, father of two small children himself, inspired a speech regarding the Dodger Giants rivalry he delivered at the game that same evening. With both teams on the field, Jeremy addressed the crowd. Needless to say, this show is not just about baseball.